Enter the brooding world of Terrigan where prophecy bares the weight of power, where men, dwarves and elves fight and struggle in the shadow of gods and titans. This is the world of the Abyss Walker, as promised by the prophecies of the Hallowed Oracle. This is Terrigan. The Players Guide to The Hallowed Oracle comes complete with everything needed to get started playing Castles & Crusades. A discussion of the Siege Engine and rules of play are followed by character races, classes, including the chromatic mage, as well as new spells and powers. 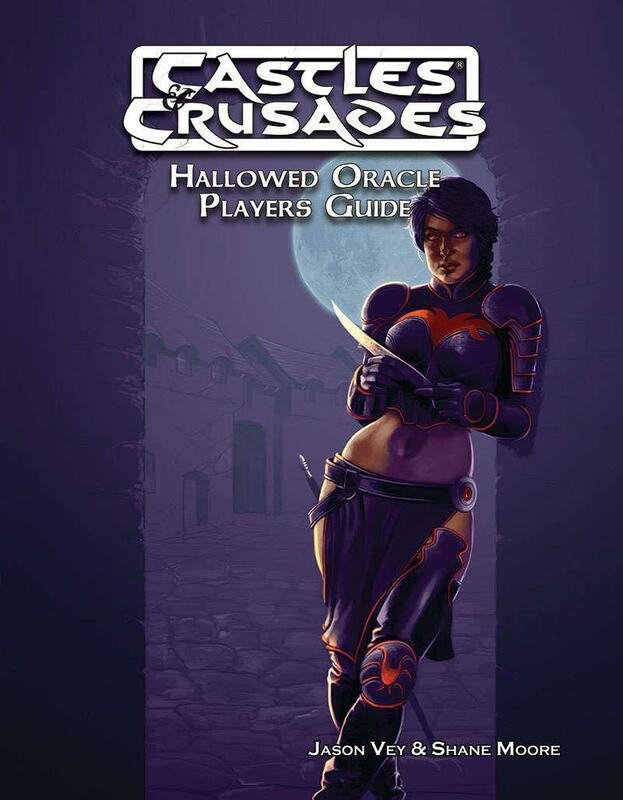 Though designed for use with Castles & Crusades The Hallowed Oracle campaign book, the Players Guide to The Hallowed Oracle is compatible with any homebrew or Aihrde campaign at the table.